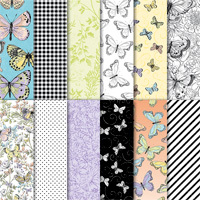 tags: #LoveitChopit, Butterflies, designer series paper, One Sheet Wonder, Online Shopping, Sale-A-Bration, Stampin' Up! Do you know about Kylie Bertucci’s amazing facebook page Love it Chop it? If you don’t, I suggest you hop onto the page and have a look at Kylie’s videos to show you how to get the most out of your Designer Series Paper. In her last video she had shared how to create a one sheet wonder without a template by using each piece of card front sized DSP as a starting point and then cutting the pieces to suit your needs. I was away recently having a wonderful time in Toowoomba, (Queensland, Australia) and took some Designer Series Paper with me to cut. 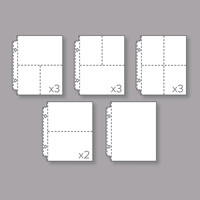 I obviously didn’t take enough because I had some spare time on my hands and decided to create a few templates to cut the Designer Series Paper in a few different ways. 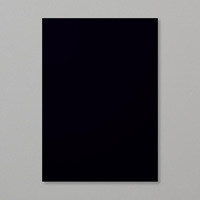 I have decided to draw myself a template and write a few simple instructions to get started using up my Designer Series Paper. 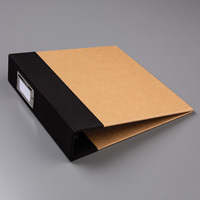 For the most part, I am going to create a card front using my diagrams and keep them in one of 6″ x8″ Memories and More Albums. I used one of Kylie’s ideas for this first card. I cut the Botanical Butterfly Designer Series Paper into card front pieces and then trimmed off 7cm. I cut the 7cm strip at 7cm and 14cm to create two squares. 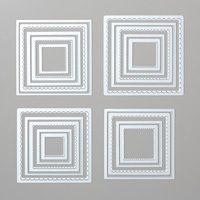 I attached each square to a Basic Black scalloped square cut using the Layering Squares Framelits Dies and then a piece of Whisper White card, I used both sides of the Designer Series paper. 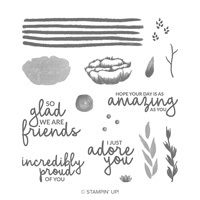 I stamped the greeting from the Incredible Like You stamp set using Memento Tuxedo Black ink. For the card with the polka dot Designer Series Paper, I attached butterflies which I had punched from one of the other patterns in the Botanical Butterfly Designer Series Paper using the Butterfly Duet Punch. 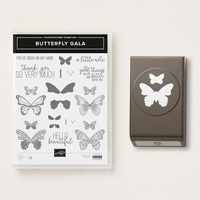 I stamped the antennae using the image from the Butterfly Gala stamp set onto the butterflies once they were attached using Memento Tuxedo Black ink. 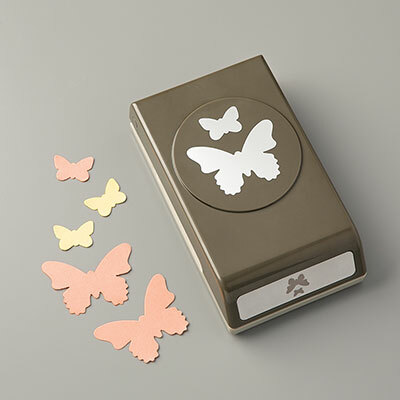 For the butterfly patterned piece of Designer Series Paper, I attached one of the punched butterflies to the bottom left hand corner of the card front. The card bases are created using Basic Black card. To decorate the inside of the card, I cut the remaining 3cm strip in half and attached each piece to the bottom of Whisper White card, using the two different sides of the paper (I did have to waste just a little paper). I attached a butterfly just above each panel and stamped the antennae as before. I am really excited about this way of using my Designer Series Paper and can’t recommend highly enough that you check out Kylie’s page. I know you will be just as excited as I am. 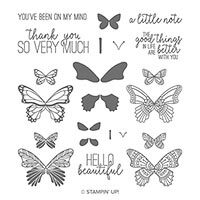 from → Butterflies, Designer Series paper, Love it Chop it, One Sheet Wonder, Sale-A-Bration, Shop online, Stampin' Up!